The United States’ urban transport mantra of “wider and more roads” dates back to the 1900s and is slowly being phased out for more compact development. However, in Turkey, the sentiment remains alive and well. To demonstrate this, consider Turkey’s 2014 urban transport budget. While funding for transport is growing, their investments are squandered on: (i) road, cross-road, bridge, and overpass construction, or (ii) poorly regulated rail construction—especially high speed train and metro—which began in 2010. It is obvious that this approach is not creating efficient urban transport when commuters in İstanbul spend nearly an entire week stuck in traffic every year. Moving forward with their transport budget, Istanbul should avoid “politics driven” transport master plans, and implement “citizen driven” integrative planning processes. One way to achieve this is by creating a Sustainable Urban Mobility Plan (SUMP), which encompasses this idea of an integrated approach; it fosters the balanced development of demand-based transport modes while also encouraging a shift toward greener modes. Within the SUMP, Istanbul should also integrate their transport developers to ensure policy dialogues are taking place, and teams are learning from one another. While an enormous amount of Turkey’s budget has been allocated for rail expansions, the planning and design of their construction is lacking. That is, rail construction in Turkey often appears “poorly regulated” because of the way in which rail systems are approved by city councils. Though critical for urban public transport and well-funded, rail systems are approved without any coordination between road systems and broader transport strategies. This lack of coordination between transport departments is a major reason why Turkish cities run into such difficulties implementing transit-oriented development (TOD). Likewise, road construction also suffers from poor communication between development teams. For example, as cities expand, they are often unable to gain control of new roads. Instead, the Turkish state maintains control of the roads, not local governments, despite the roads having been repurposed for urban use. Indeed, cities and the General Directorate of Highways—a national agency charged with the construction and maintenance of roads outside cities—are cast into a grey area as the jurisdiction over roads surrounding urban areas often change ownership. When the responsibilities do switch back and forth, the municipalities are often left voiceless, unable to choose the development plan, staff, and the budget of the changes. These problems are largely the aftermath of the enlargement of Turkish cities without consideration for the urban transportation plans. As city populations continue to climb, many urban areas have responded by simply building more roads—and Turkey is no exception. With its large road budget, Turkey plans to extend its current 2,200 km of motorways to approximately 9,680 km by 2035. However, there is little evidence to suggest that Turkey’s expansion will decrease congestion in urban areas. Consider, for example, Beijing, where the construction of 6 to 10 lane belt highways and bridges continues rapidly. Despite the large investment, a study conducted by the University of Sydney revealed that the increase in road construction has failed to solve traffic jams in Beijing. While Beijing citizens spent, on average, 1 hour and 55 minutes a day on the road commuting in 2013, they spent an average of 2 hours and 20 minutes commuting in 2014—an increase of 25 minutes. Beijing is only one example of many cities who have invested in roads, following a similar model to Turkey’s, with little to no positive results. Just as Beijing’s drivers have seen no relief in congestion on the roads, Istanbul’s car-centric approach to transport has only fueled traffic issues. A survey, conducted by Beykoz Logistic Vocational High School Logistics Implementations and Research Center in Istanbul, found that during the weekdays, residents spend about 1 hour and 37 minutes in traffic. During the weekends the average wait time was a little less, at 1 hour and 26 minutes in traffic. All of this is in spite of the massive amount of funds supporting new roads in Istanbul. So why aren’t things improving? The problem is, when decision makers in developing countries—like Turkey and China—think of transport infrastructure primarily in terms of personal vehicles, citizens recognize it. There exists a paradox wherein the construction of new roads to solve traffic-related congestion only leads to more individuals driving. That is, after road construction, citizens—believing that the roads are now more convenient and accessible—choose to drive instead of taking mass transport, bicycling, or walking. Thus, even with more roads, congestion returns. 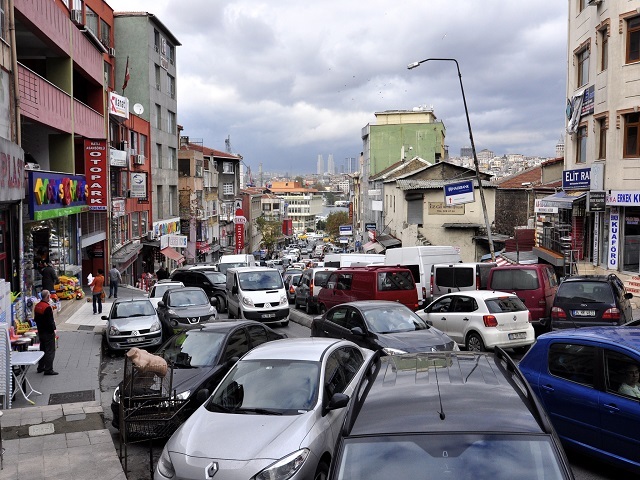 Surveys have made clear that citizens are dissatisfied by current traffic conditions, especially in Istanbul. Indeed, citizens now believe that their tax dollars are better spent on mass transport instead of new road construction. Now is the time for Istanbul to listen to its citizens and begin investing in sustainable, mass transport—not cars; moreover, Turkey needs to accompany these changes with clear, strategic regulations that integrates transport development teams to decrease confusion. Simply put, regulations on rail construction need an overhaul. If the government weighs the citizens’ voices and acts on them to invest in urban transport projects that are integrated with individual city plans and strategies, they will almost certainly see more effective traffic solutions.